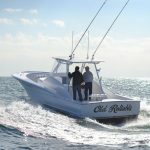 The Winter 40 express was built with the primary intention of offshore fishing out of South Florida and island hopping on weekend tours through the Bahamas. 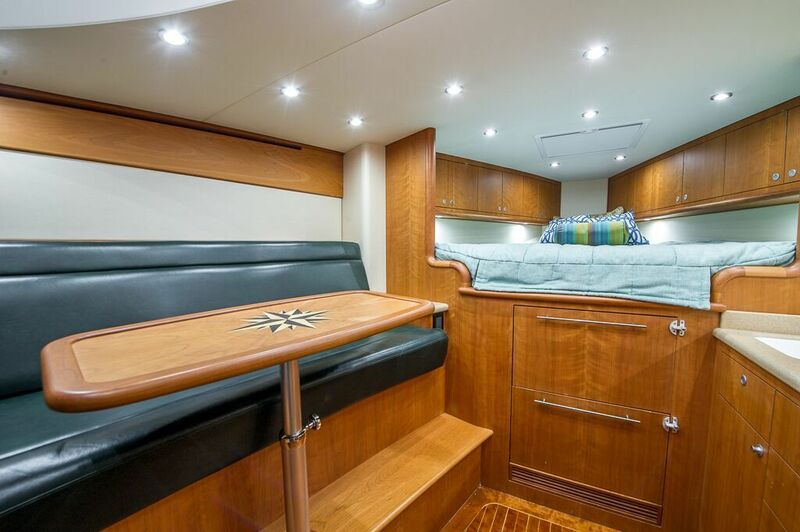 At 40′ in length this vessel appeals to both the cruising couple or the tournament driven clients alike. 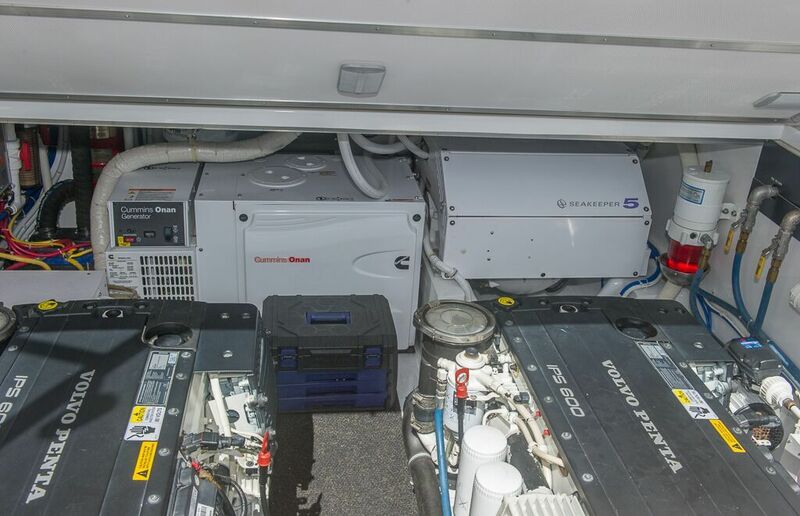 Every detail has been thoroughly thought out to make maintenance as easy as possible while optimizing performance. 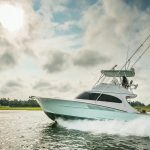 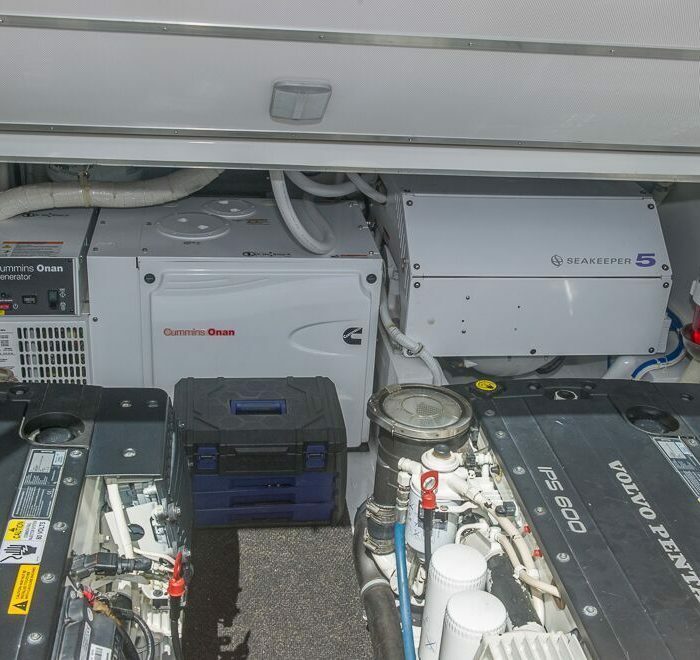 The twin Volvo IPS drives offer the maneuverability at the dock with the added feature of the “DPS” to aide in bottom fishing when needed. 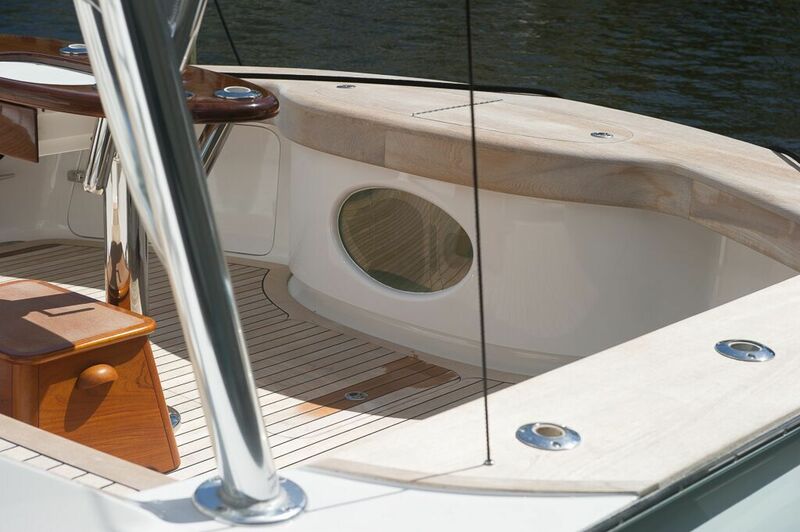 The cockpit is fitted out with a transom baitwell under teak covering boards. 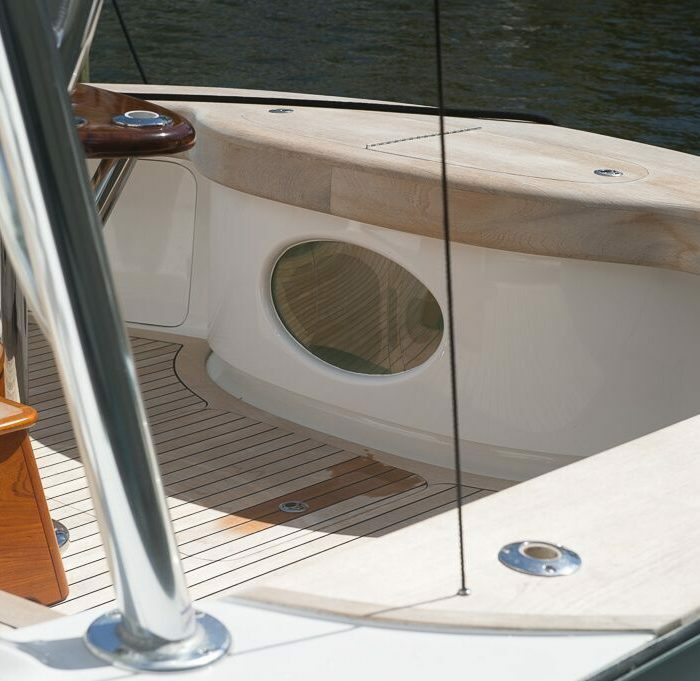 The teak decking offers direct access to the top of the POD drives and offers abundant storage for gear and supplies down the centerline of the cockpit. 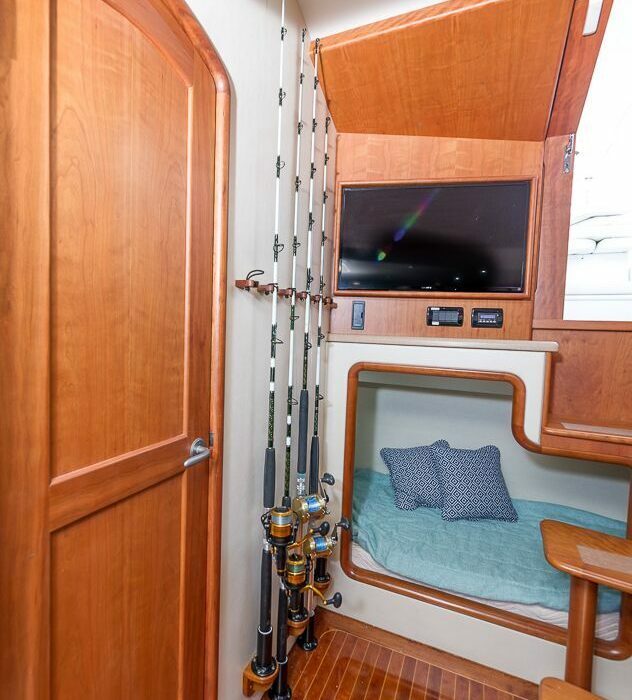 The Release Marine battle saddle fits perfectly within the balanced proportions and easily accommodates 5-6 adults when fishing. 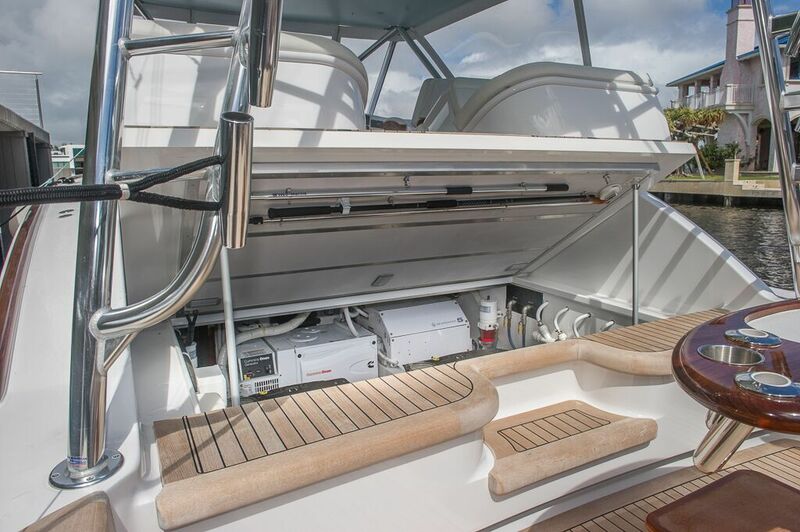 Within the mezzanine deck you will find abundant storage throughout with insulated dry storage within the seats. 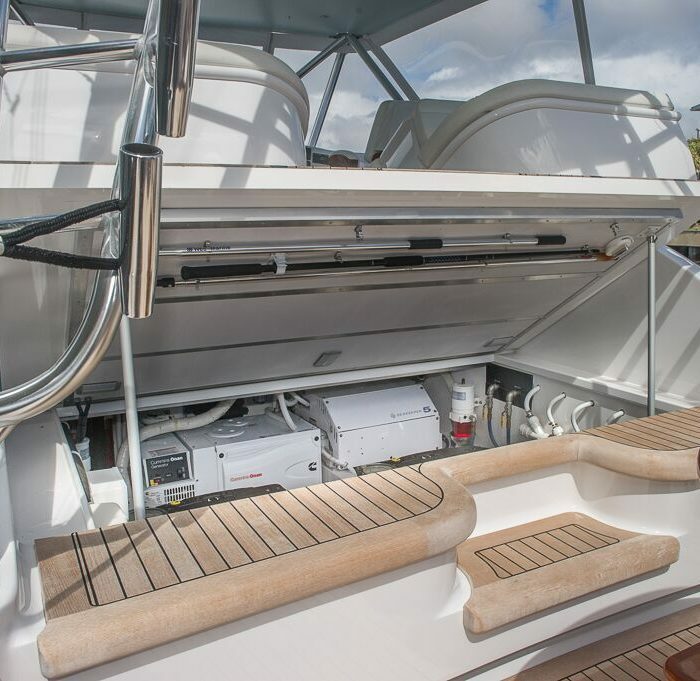 In each seat back a drink cooler sits between the forward and aft faced mezzanine seating. 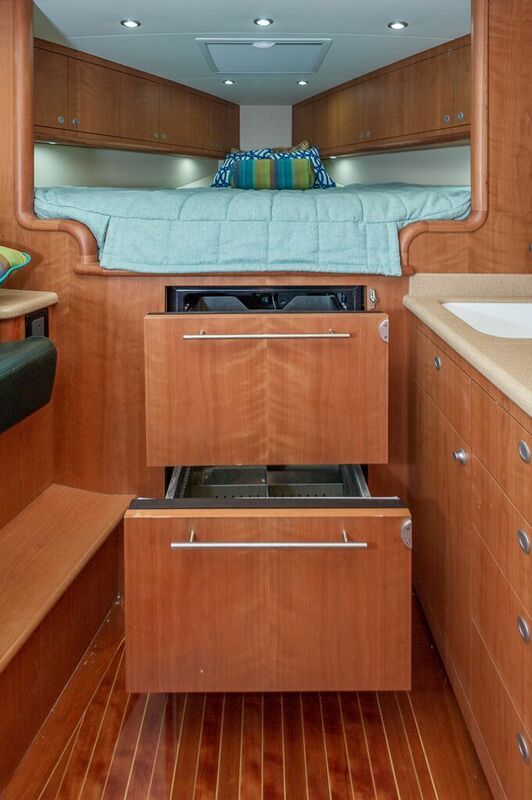 Each cooler allows easy access to without moving guest lounging on the seating. 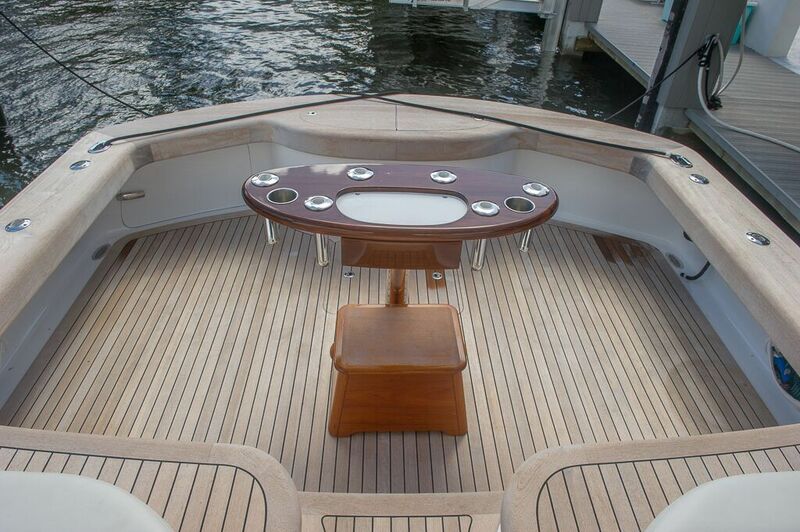 The forward dash mounted helm offers great visibility for the captain and mate in Release Marine Trillium helm chairs. 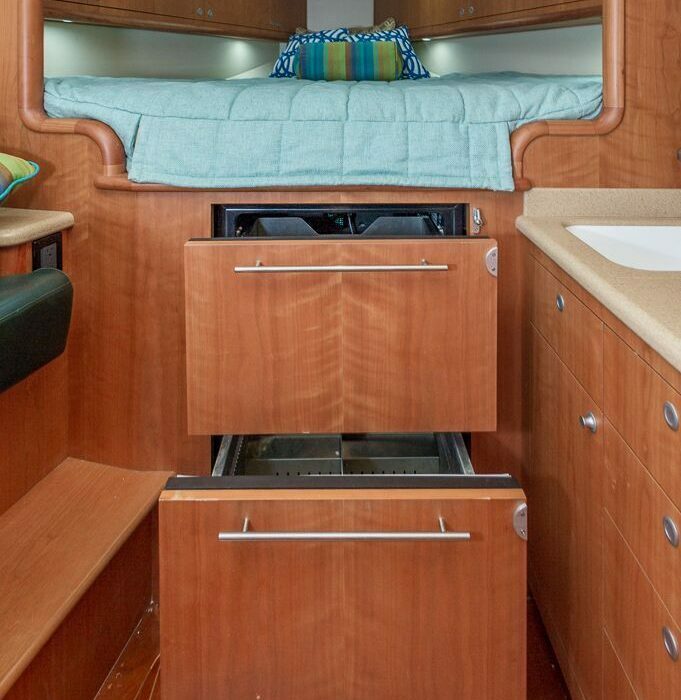 Each are perfectly positioned to the bridge AC vents and electronics sweet found mounted on the dash. 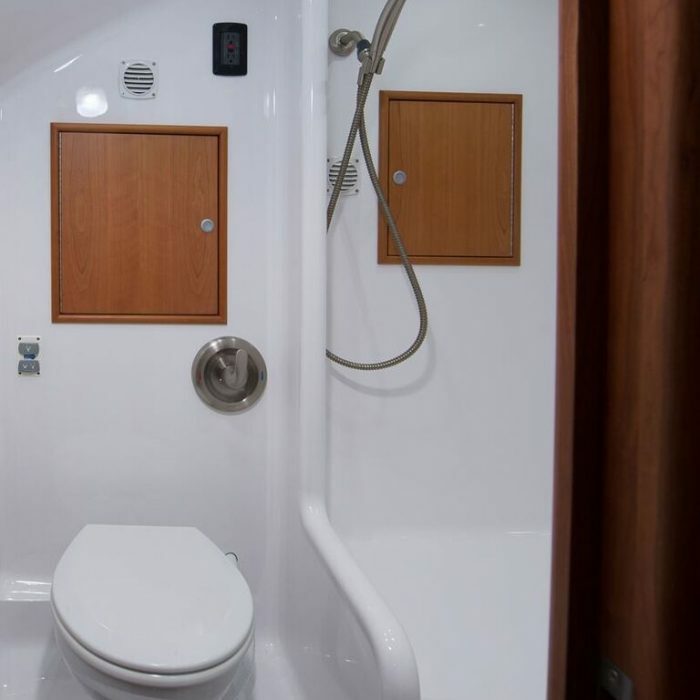 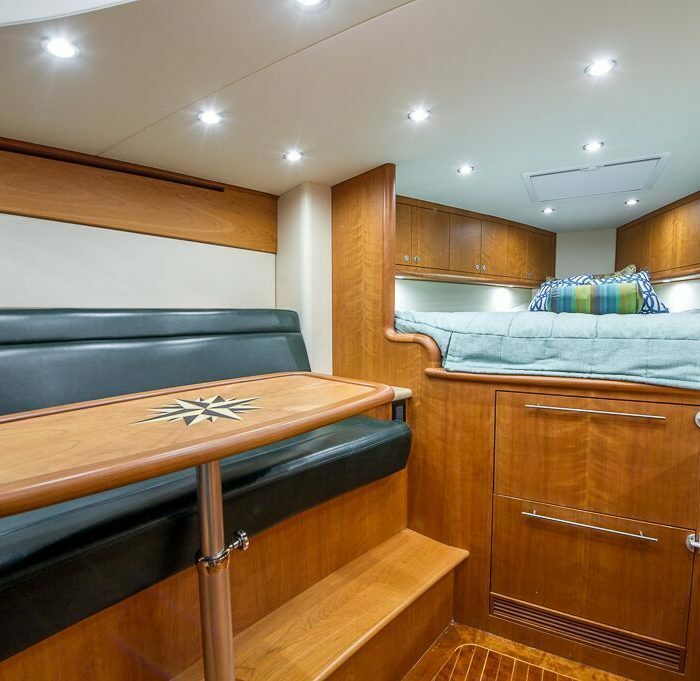 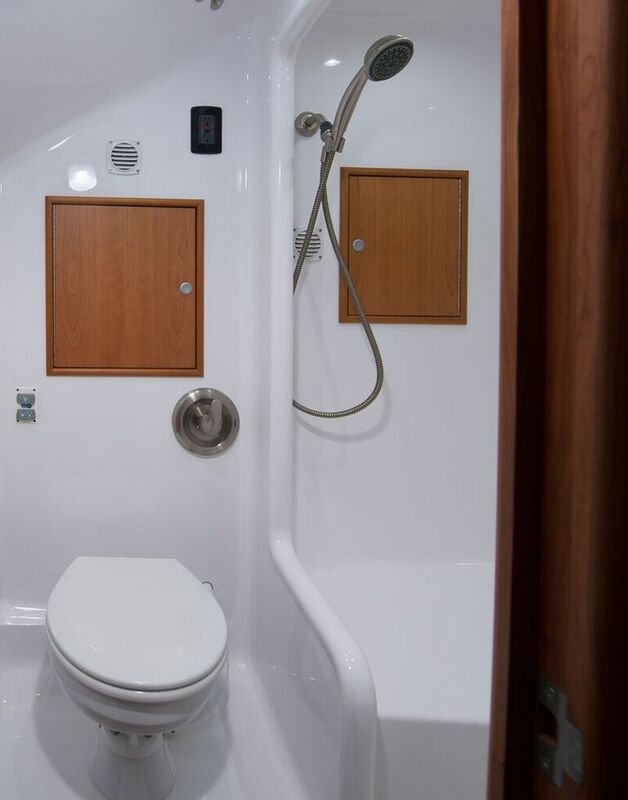 Down below you will find an open dinette to port with a petite galley to starboard. 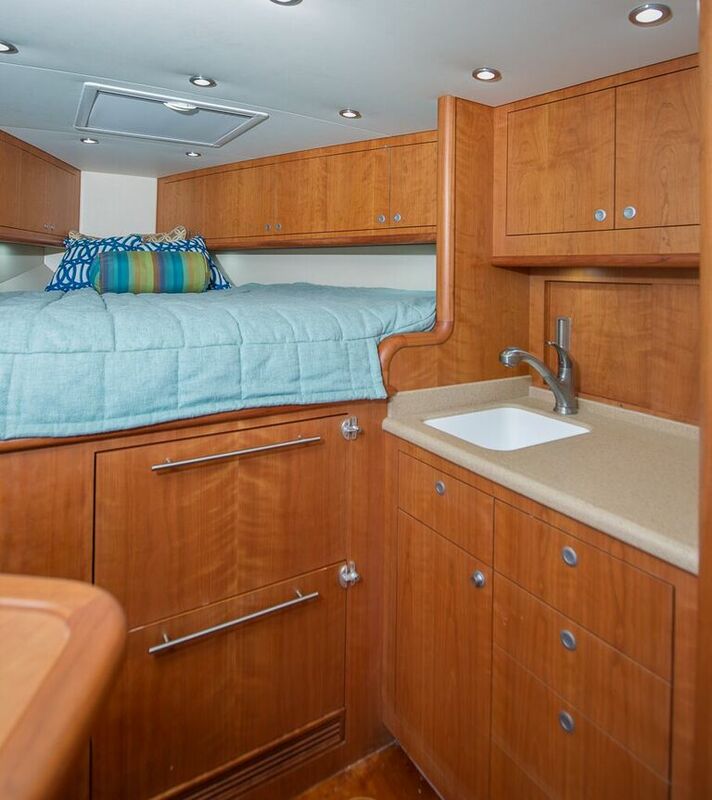 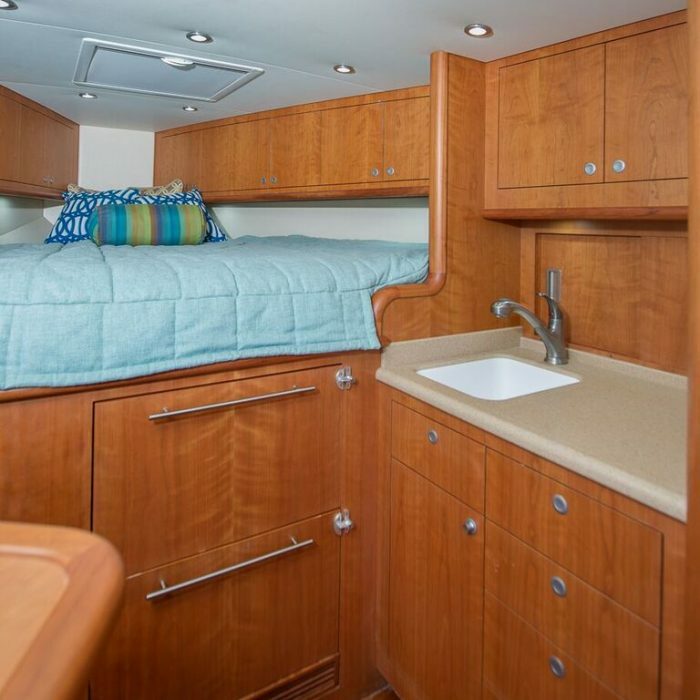 The queen sized berth forward can easily sleep a couple while the aft bunk under the bridge deck will accommodate one guest. 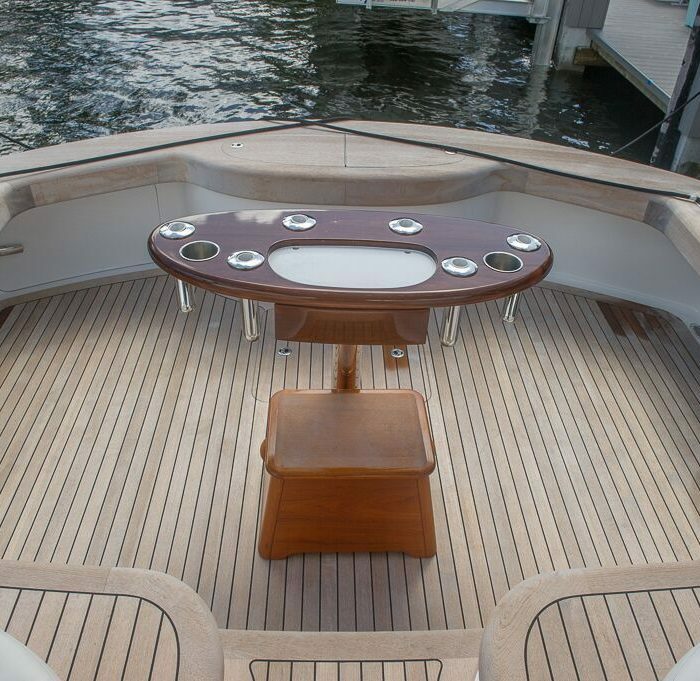 This is a very well rounded vessel that will appeal to all audiences. 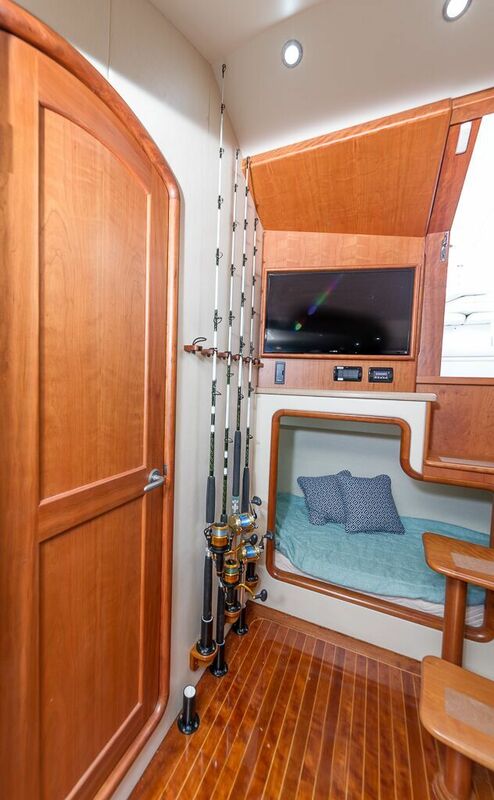 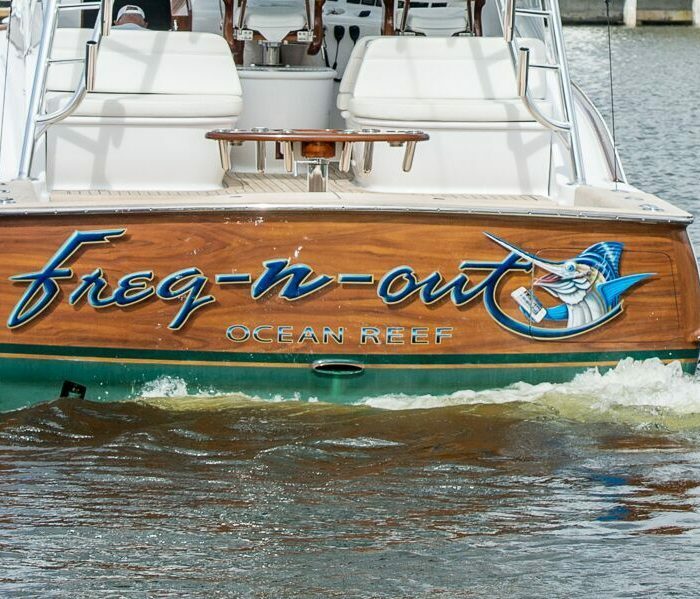 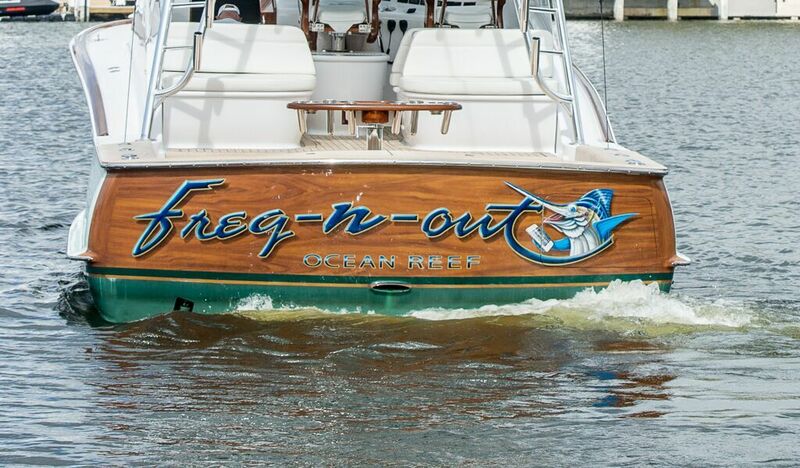 No matter if you are chasing the tournament circuit, or island hoping with friends or family this boat can and will do it all!